At Nannies On the Go, we are passionate about locating exceptionally qualified nannies to assist in your child’s development and are committed to maximizing each child’s potential through professional, experienced nanny services. Whether you need full time, part time or temporary childcare, we understand that security, reliability and compassion are your first priority. As a Dallas nanny agency, we pride ourselves on hiring experienced nannies that are positive, professional and enthusiastic about their work, providing quality domestic help for Mom. A nanny is a professional individual employed to provide childcare for a family in the home. Duties will include anything that pertains to the child. The duties of the Nanny usually include tidying up the main areas of the house, children’s laundry, organizing children’s play areas, planning activities, driving, meal prep, and homework help in addition to caring for your child. We find our metroplex families can develop busy schedules that may cause stress, affecting the family in unpredictable ways. Having access to help, crossing some of the mundane tasks off the list, goes a long way toward alleviating a significant portion of that stress. Our Mother’s Helper and Housekeeper nannies are able to assist you in numerous ways, on a permanent or short-term basis. Mother’s Helper is just that. Light housekeeping and childcare rolled together into a single awesome assistant. You can depend on your helper to keep you afloat even when schedules are crazy and life feels out of control. 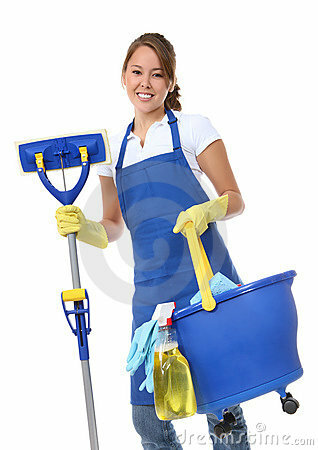 A Housekeeper is someone who takes care of the running of your household, and this can go way beyond just cleaning. He/she takes care of all the various tasks required for running the household, from general cleaning and shopping to helping out at dinner parties. Duties may include taking care of all general household duties, such as cleaning, vacuuming, dusting, laundry, ironing, and cooking or preparing food. One of the most outstanding benefits of placement through Nannies On The Go is our premium Back-Up Service, setting us apart from many other agencies. Like many of us, Nannies have scheduling conflicts. They get called to Jury duty, have Doctor’s appointments or may become ill. Nannies On The Go will expedite a back-up Nanny at no additional agency charge on the day your Nanny is scheduled to be out. You simply pay the back-up Nanny for the hours she works and there is no agency fee. 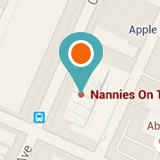 This complimentary service lasts the lifetime of your employment with your Nanny! At Nannies On The Go, our business is to help your family function productively when work and busy schedules must be met. After all, when you’re confident that your children are in good hands, you can be more productive in your own pursuits. Wherever your dreams may take you, a Nanny from Nannies on the Go can help you and your child reach those goals together! At Nannies On The Go, all placements, whether full time or part time, automatically come with a full six-month guarantee. We are extremely confident that our nannies are committed to the stability in your family and are happy to stand behind each and every one of our nannies! Within the first six months, if you find your nanny doesn’t meet your expectations, we also guarantee we’ll search for a permanent replacement. We will conduct another search for your family and provide you with a temporary Nanny while we find a more suitable Nanny for your child. No online service currently provides this kind of insurance. When you need a mother’s helper or housekeeper, Nannies On The Go will have what you need and our efficient system will expedite the process to find the perfect match for your family quickly. Call us today!